Mobile Advertising is one of the biggest trends for this and the upcoming years. Smartphones, tablets and mobile internet have opened the world for us. Mobile devices are used more and more – either at home on the sofa or via mobile connections on the go. A recent study has also that 85% of the users notice mobile advertisements and 51% of the users start searching on the mobile device after having been exposed to an advertisement through the traditional media. That’s why Mobile Advertising is becoming an essential asset in reaching your target audience at the right time. 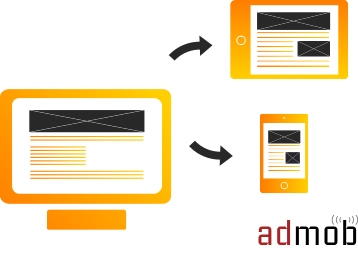 Mobile Advertising opens many possibilities for advertisers. But are you ready for Mobile? Are you not sure? 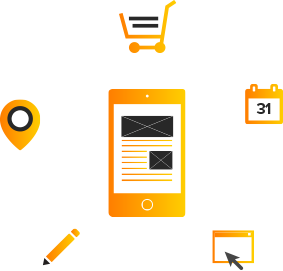 Test your website and discover what experience your website visitors have when visiting your website through a mobile device. It is also worth checking your website statistics to see how well mobile traffic performs. The percentage of visitors visiting the website on a mobile device varies by type of website, but nowadays you usually have at least 20%, often more. Possibilities for geo-targeting: Your address can be made visible and users can get directions to a sales point.